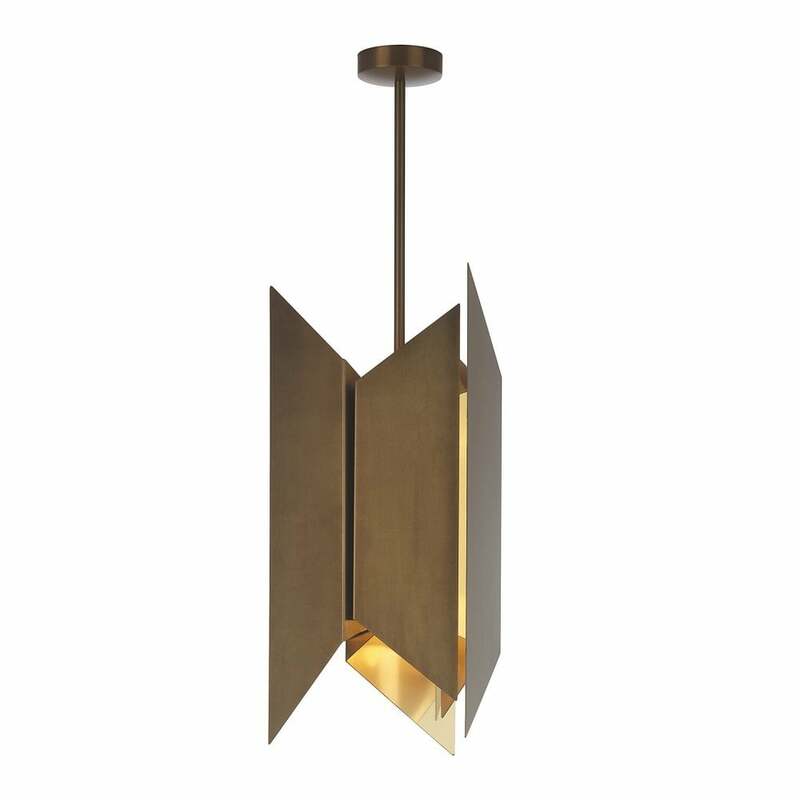 The Hera Pendant Light by Heathfield & Co features an angular, geometric form that is inspred by mid-century modern art and sculpture. This striking pendant light works beautifully in modern homes whether a barn conversion or a chic city apartment. Make a statement with one light or create a group installation over a kitchen island or dining room table. Available in an on-trend antique brass finish. Make an enquiry for more information.